Home » Should You Buy or Build a Home? The first step, and one of the most important decisions to make, towards homeownership, is deciding if you should buy a home or have one built. Naturally, several factors come into play. Let’s examine the different advantages and disadvantages of each option. Should you need more advice, you can always reach me here. In most cases, buying an existing home can be cheaper than building one. Still, it heavily depends on where you want to invest, as well as the state and quality of the home. Maintenance costs can also add to the burden, as existing homes have more wear and tear. Although some of these might’ve been repaired before the sale, regular upkeep will be needed. Having a new home built might seen more expensive upfront. Additionally, there may be a couple of unforeseen circumstances that can increase the total building costs. For some, however, the greater level of customization, convenience, and less maintenance costs are worth every penny. As mentioned earlier, existing homes might require more upkeep than newly constructed properties. Such properties are also expected to be not as energy-efficient as their new counterparts. 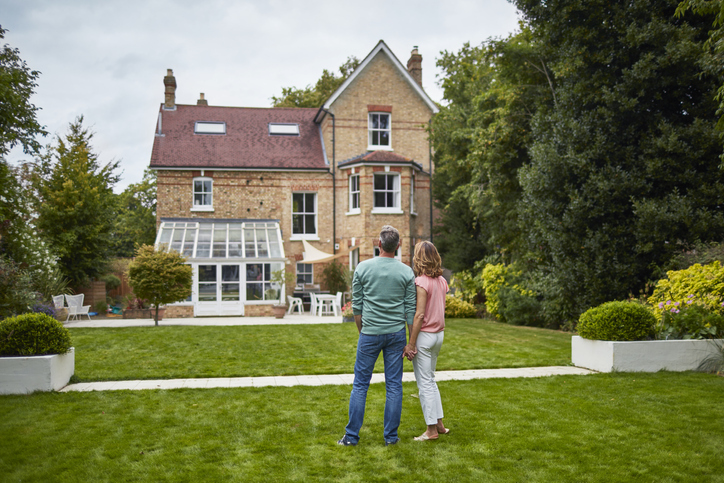 Expect your bill to be higher if you are investing in an older property, as such houses aren’t built to current standards (unless upgraded before the sale.) If you are purchasing an old or even historic home, it wouldn’t hurt to ask about the age of the property’s main features. When it comes to new homes, maintenance isn’t much of an issue. Most, if not all, of the features, are brand new. Some appliances will even have warranty. And speaking of warranties, home builders these days usually offer a 10-year warranty, relieving homeowners of any maintenance costs for the first decade of ownership. To be sure, ask prospective builders if they offer such perks. One major perk when it comes to buying an existing home is historical data, not only on its own previous sale prices but on the property’s “comparables” as well. This is crucial, as market trends help you decide whether a home is worth the investment in the long run. This information is particularly helpful if your goal is to build equity and then eventually sell the home. Such data might be hard to come by in the case of newly constructed homes. It might even be harder if the property is in an up-and-coming neighborhood. Home features and amenities can help with the property’s value, but the location and market trends play a bigger role in determining such data. Existing homes benefit entirely when it comes to landscaping, as significant time has passed for plants and trees to grow and mature. And while some might think that landscaping is only a mere cosmetic feature, mature trees can actually add thousands to a home’s value. Landscaping for a new home is not only time consuming (in terms of labor and tree/plant development)? it can also be expensive. An average landscaping job can set you back about $3,000. Tree prices greatly vary as well, and some only grow a few feet every year. My team and I are right here to provide you with all the resources you need when it comes to Atlanta Georgia real estate. Get in touch with us today!